Everyone likes to ring in the New Year with a new habit. Whether it’s eating better or exercising more, many of our resolutions and promises center around the premise of working out. We are making this article so that we can help with finding the best shoes to workout in. Not only that, but we will also discuss some buying tips that will make your deliberation easier, as well as discussing what will make your workout shoes the right ones for you. 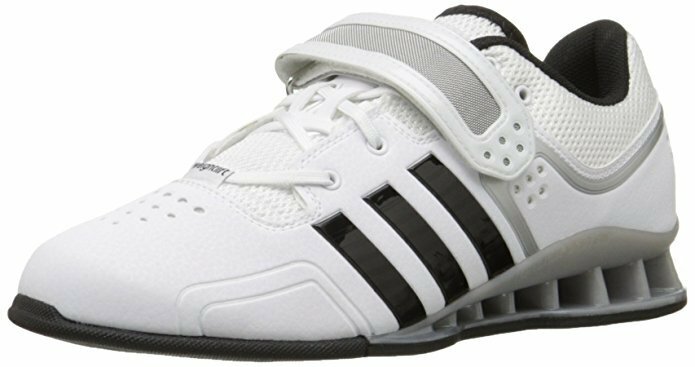 The Adidas Adipowers are very specific weightlifting shoes that are made from top-quality leather and guarantee an improvement in performance. Shoes of this caliber explain the growing desire for workout-specific shoes. 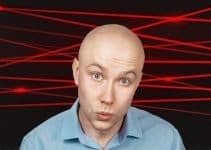 However, for the majority of us, we won’t know what we are looking for and feel like we wouldn’t be able to improve our performance by blindly going down to the local shoe store. That’s where we would love to help. Working out is something that, since the era of Arnold Schwarzenegger and more recently Dwayne ‘The Rock’ Johnson, has grown in popularity. People no longer go to the gym solely as a means of staying fit or improving for sport. Many of us attend the gym every single year with one goal in mind: to look better, to feel better, to be better. Of course, we don’t doubt that there are also many that lift at the gym so that they can get stronger, compete in competitions, or just to treat it as a competition against themselves. Regardless of your motive, getting the best workout shoes for men can improve your chances of being successful at keeping it up. Getting a pair of shoes just to do weightlifting in can seem like quite a strange proposition. Why is it that wearing a pair of shoes just for lifting is necessary? For a variety of reasons. Perhaps you are trying to become proficient at a particular lift, or you’re trying to just improve your general performance, and getting the right shoes can really help with reaching your desired end result. Before you go and make your next big purchase, it is worth weighing everything that could influence your decision and making sure that you are well informed. It is great to be as researched as you can possibly be, as you don’t want to make any mistakes. There’s nothing worse than buying an expensive pair of shoes only to realize that you don’t like them for one reason or another. What’s the best way to avoid this? By considering some key factors before purchasing. Keep reading this section to be able to come to a more informed decision. In reality, you always want your purchases to be of the highest quality. Quality is king, and no one wants to buy a pair of weightlifting shoes that are of poor quality. Your feet don’t deserve it, and neither does your bank account. When considering the quality of your item, you need to look at what you find the most important. Perhaps you’re someone who likes quality of color, or you could be someone who loves a specific material. Likewise, you could be someone who just loves a particular brand and doesn’t like to steer away from that. What makes something top quality is also pretty relative. If we want the complete upper echelons every time, then we’ll probably be shelling out thousands and thousands of dollars on Gucci every time we need a new item of clothing. However, for the majority of us, this is simply implausible. Instead, what makes an item top quality is on a relative scale. For example, your pair of shoes may be as durable as an item gets for the price point. Similarly, it could be the best quality item for that specific purpose. These are all factors that we are going to get to in a minute, but we’d invite you to think about them and how that could influence your decision before we get there. We hate the thought of you spending money on something that’s low quality. Please do your research! Another key consideration must be durability. If you are weightlifting 3-5x a week, then you can comfortably expect to be wearing them 3-5x a week. Over the course of a year, that could be anywhere between 150-250 wears. That’s some intensive use, and, if your shoes aren’t made with durability in mind, then they’re probably going to suffer. Instead, take into consideration some of the key durability factors. One of those is the material. We’ll get to it later, but some of the more expensive pairs of weightlifting shoes are made from quality authentic leather, and you can rest easy knowing that they’re going to last you a long time and that they’re going to stay comfortable. On that note, the long-term comfort of your shoes is another thing to consider under the umbrella of durability. Needless to say, you want your feet to feel like they’re being treated well. It’s all good having the benefit of being able to lift heavier, but what is the point if you’re going to end up with sore feet after every wear? Look for a pair of weightlifting shoes that will keep your feet happy on a daily basis, and it’ll be an added bonus if they manage to last you multiple years! Something that will depend on the individual is the style that you will be looking for. Each and every one of us has a style preference with our day-to-day outfits. For example, some of you will prefer to wear skinny jeans and some will even love wearing flip-flops. The versatility in style is what makes each of us individually, and it’s exactly the same for shoes. Even when you’re looking to buy something as specific as shoes for lifting, you can make your imprint on the style easily. From color to shape to size, you’ll be fine picking out something that you love, and that’s something that you should always keep in mind. This may seem like a strange thing to suggest. You’re on a lifting shoe article, so of course, that’s the purpose you’re after. But there can be different types of shoes for lifting, and that’s what you’ve got to look out for. To provide a first, simple example, your ‘thing’ may be weightlifting. That is, you go into the gym, and you regularly squat, bench, and deadlift. You also may love to do some sort of rowing, and overhead pressing is your best friend. If that sounds like you, then you will want to go for a shoe that is designed to help you with those big lifts. The shoe that is most perfect for those lifts is one that is made with an elevated heel that allows you to stay stiff and in position when braced. On the other hand, you may be a casual weightlifter who just enjoys using the machines and getting yourself a pump by training chest over and over again. If this sounds more like you, then you’ll be less impressed or bothered by the capabilities of powerlifting-specific footwear. For those types, perhaps look at some more basic trainers or take a look at some ‘barefoot’ types of shoes that will keep you nimble and light during grueling workouts. As with any type of clothing, the brand matters. We may try to act like we aren’t a bit snobbish with the brands that we choose, but we’re also careful to ensure that we are getting the best quality for our money. With that in mind, we ought to be more particular about the brands that we shop from. For a pair of weightlifting shoes, you’ll be sensible shopping with sports brands. To give you a helping hand, that includes Nike, Adidas, New Balance, Reebok – the list goes on. Within that list, we will all have one that stands out to us as being our favorite. Not only that, but it is likely that we already know what size we are and what it is about the brand that we love. If this sounds familiar, then it is something that you should keep in mind. You’ll be pleasantly surprised at how much simpler your purchasing process becomes once you’ve streamlined it by choosing your favorite brands. If you don’t have a favorite, then you’ll be best just looking for the most reputable brands within the field. Doing that will increase your chances of picking out a pair that you love. You hate to hear it, but price always has to be a consideration. Each of us has different budgets, and each of us is more comfortable spending different amounts. For some, we won’t mind shelling out for some of the highest quality shoes, because lifting is a big part of our lives. On the other hand, we may just want something that is more comfortable and suitable for the weight room, and so we are just trying to pick up a cheap pair that does the job. If you think about it, if you’ve only got $10,000 for a new car, then we doubt that you’ll be test driving an Audi R8. By that same token, you won’t be taking out a PayPal credit loan to pay off your lifting shoes. Be sensible, and make sure that you are always sticking to your budget. Adidas were the true pioneers of weightlifting shoes, and this is their cover star. The Adipower weightlifting shoe has been used by seasoned professionals, Olympic athletes, and average Joes since their conception. In terms of the choice of material, the Adipowers are the top. Using PU-coated leather for the upper, it is a strong and stylish shoe that will never divide opinions. Below the great leather upper, you will be able to make the most of a strong TPU midsole for a perfect foothold. The comfort that you get from these shoes is practically unrivaled. You will put your foot in and feel like you’ve just stepped into cement. That will probably make no sense to you, but, if you’re into weightlifting, then that’s exactly what you want. If you are doing a heavy squat, then that will prevent your ankles and knees from being in compromised positions. Not only that, but you can definitely wear these shoes for a regular workout, too. Whilst they are primarily the best shoes for lifting, you will be able to wear these for regular high-intensity training, too. The three colors that you can choose from are all equally stylish. They have decided to just go for the colors that men typically love, including black, white and red. The combination of these colors ensures that you’re going to look great in the gym regardless of what you choose. If you’re worried about sizing, then please be aware that you are able to make the most of a Velcro, adjustable hook-and-loop strap. This generally means that you’ll be better off picking either your typical size or going half a size up. That way, you’ll be able to adjust it to be the perfect tightness for you. We don’t like to place too much weight on what other people think, but it is impossible for us to ignore the overwhelmingly positive reviews that these shoes get online. With a thousand reviews, the majority of them are five stars. Many of the reviews note how they are the shoes that they wish they’d had from the first day they stepped into the gym, and that’s something we’d love for you to keep in mind when making your choice. If you are looking for a fail-safe pair of shoes for lifting, then these could be your perfect companion. They are guaranteed to last for years, will provide your feet with comfort, and, most importantly, give you an added performance boost that you’ll struggle to find elsewhere. One of the most alpha male things that you can do in the gym is heavy lifting. As long as it’s practiced safely, it is something that everyone ought to try because the personal achievement and satisfaction from doing so should not be understated. However, when you are lifting heavy, you need shoes that are built to last. That is to say, heavy lifting can put your feet, ankles, knees, and back in compromised positions, and you’ll be more likely to end up injuring yourself. Fortunately, powerlifting shoes have been invented to prevent that compromise, and by wearing them you’ll be less likely to injure yourself. These Nordic Lifting shoes are ideal for those into weightlifting. They come at a reasonable price point, meaning that you won’t be breaking the bank, but you will be preventing yourself from breaking your back. The foot support ensures a powerful workout, and they’ve described it as Olympic stability. This will give you greater lifting gains, as you’ll be able to lift heavier and more frequently. 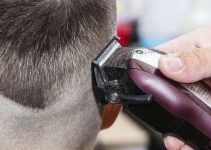 Durability is something that is often worried about, especially when you’re spending a considerable amount on a pair of shoes that are only worn for an hour or two per day. You’ll be pleased to hear that they are confident that their material and build quality is made to last and will survive even the greatest stress and wear. Backing up their confidence is their 1-year warranty covering a refund or replacement if anything goes wrong within that first 12 months. For some of us, heavy lifting is the most enjoyable thing about the gym. However, unless you’ve got the right apparel, it can be relatively risky. These shoes eliminate many of the risks and allow you to lift heavier safer. Even though we may be lifting weights, we may not be lifting them with the specific purpose of powerlifting – or heavy lifting in general. If this is the case, then you probably don’t want some of the more powerlifting-centric shoes. Maybe you just enjoy going to the gym and using particular machines or doing HIIT. If this is the case, then looking for the best shoes for HIIT could be your way of getting yourself some shoes that will be comfortable, regardless of the lifting purpose. These Nike shoes come from a company that knows exactly what it takes to produce some of the best and most effective sporting footwear. They have produced the leading shoes in almost all sports worldwide – gym lifting included. This pair of shoes is made from high-quality textile materials and is built to last. The lightweight mesh upper provides you with excellent breathability, meaning that you’ll be able to train for longer without any discomfort. Additionally, the outsole pattern underneath the shoe is rugged and multi-directional, giving you great traction and ability to participate in a wide range of exercises. Now, it doesn’t matter if you’re on the bench press or the rowing machine, you’ll have shoes that are perfect for either. In terms of style, they not only look fantastic, but they also come in a wide range of colors, letting you pick out the ones that you love the most. Lifting weights at the gym can be versatile, and your shoes need to be, as well. If you are doing circuit training or HIIT, then perhaps you’ll just want a pair of shoes that allow you to participate in many exercises whilst maintaining durability and comfort. If that’s you, these could be perfect. After the release of the Adidas Adipower weightlifting shoes, Nike had to make a pair of their own that could compete with the quality and hype. Meet the Romaleos. Straight off the bat, we will say that the Romaleos are the best-looking weightlifting shoes on the market, and that is just an indication of the care that Nike put into the style of their shoes. We are used to their leading shoes – like the Air Max – looking great, but these are proof that it extends to niches as tight as weightlifting. It is also worth noting that you can choose from almost any color, and they all look great, made with quality materials. f you want to be squatting in bright yellow lifting shoes, then go ahead. The world is your oyster, and those colors are available. The shoes themselves are fabric-and-synthetic but use only the highest-quality materials. The upper is synthetic leather and includes reinforced mesh for support and breathability. Similar to other weightlifting shoes, they are absolutely ideal for heavy lifting. You want to feel secure and locked in during your lifts, and these will do that for you. Not only that, but you will look like an absolute badass, guaranteed. If you can afford them, they are a solid choice you should definitely consider. Going to the gym and lifting some heavy weight is made easier with the right footwear. If you are someone that tracks their workouts and tries to beat their previous bests time and time again, then getting a pair of Romaleos could be your best idea yet. For those unaware, Crossfit is a combination of fitness-based workouts under one umbrella of sporting competition. Crossfit combines cardiovascular exercise with weightlifting and high-intensity interval training. It sounds like a brutal combination, and that’s because it is. Many who attempt it fail and revert back to regular weightlifting or cardio. It’s not something that you should take lightly. If you are into Crossfit, or heavily considering it, then you should also look at upgrading your footwear and grabbing something that’s slightly more specific and more likely to allow you to perform at your very best. Investing in the right pair of shoes will help. Reebok changed the game when they decided to make a Crossfit line of trainers. It appeals to a very specific niche but has allowed their brand to become wildly popular in the community. Similar to their endorsement of UFC, Reebok has shown time and time again that their shoes can be worn by the very best in the profession, making them a great choice for the average man. These shoes, in particular, look great and really put your mind at ease when you are at the gym. There is a very small arch in the heel, giving you some postural support and allowing you to keep your joints safe and sound. Not only that, but the brand new, innovative heel bootie construction provides ultimate performance comfort, meaning that you won’t find yourself in pain after the 3rd round of circuits. If you’re interested in the very specific features of weightlifting shoes, then RopePro technology allows you to rope climb with complete and utter ease. It allows for maximum traction and complete protection. Not only that, but you’ll have protected toes, too, with increased durability in the area, preventing you from picking up any nasty injuries that can occur from too much exercise and moving about. Being versatile at the gym is greatly important. Some people love to participate in a sport called Crossfit, and others just like to try something out of the ordinary for increased fitness. Either way, these shoes are not specific to powerlifting and should provide you with the necessary comfort and quality that is required for lifting regularly at the gym. Even though Inov-8 are probably one of those brands making you ask “who?” and “how much? !” it is for good reason. Inov-8 started as a running company that produced the leading, top-quality trail running shoes and apparel. They specialize in producing footwear that is suitable for all terrains and ensuring that all athletes are protected against the environment and their own bodies. This dedication has been copied and pasted straight over to the weightlifting world. 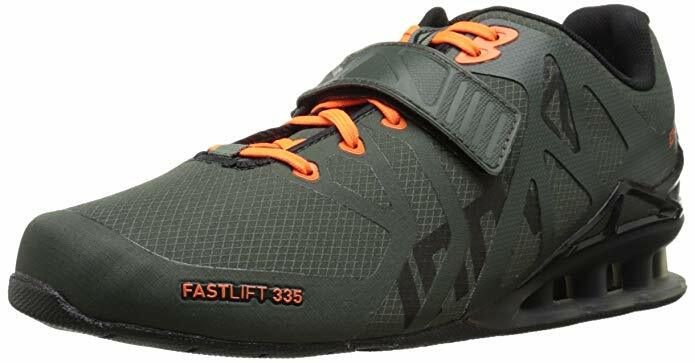 The Fastlift 335 shoe is a clear sign of the quality and durability that has made them such pioneers in the last decade. The shoe itself is a weightlifting shoe that provides you with better stability and forefront flexibility, keeping you always ready to train and lift, never having to worry about how your feet are positioned or whether they are going to cause injury. The material is synthetic – not leather – which is important to people on both sides. The synthetic material is certainly high quality, too, and you won’t have to worry about it tearing or becoming unusable after a short period of time. On top of all of the physical qualities, there are also many innovative features that set them apart from the rest. One of those is the FastLift outsole, a feature that uses sticky rubber derived from rock climbing rubber, giving it that urban, off-the-beaten-track vibe whilst still giving you all that a weightlifting shoe should give you. If money is no object, and you don’t mind going with a brand that is relatively unknown and still growing, then you could go for these weightlifting shoes. They are definitely worth the price point and go above and beyond what a weightlifting shoe is supposed to provide. Style is a key one. If you are someone who loves to color-coordinate their outfits at the gym, then perhaps you should go ahead and pick yourself out a pair that is indicative of that. The last thing you need is your navy outfit being ruined by a bright orange pair of weightlifting shoes. That may be a far-fetched example, but it runs true nonetheless. Workout shoes can really just depend on what your primary purpose is whilst in the gym. If you are someone who turns up every day with a notepad, lever belt, and gallon jug full of branched chain amino acids and creatine, then we can probably safely assume that you love lifting heavy weights and lifting heavier with each and every session. Similarly, if you love to just turn up so that you can get fitter and feel better about yourself, then you probably care less about the competitive side of things and care more about the comfortable side. Ultimately, you have to shop based off of your own preferences. If you want to be comfortable and have a pair of shoes that are suitable for circuit training or various forms of working out, then you should buy accordingly. The advice is the same if you love heavy lifting, and you should be looking at getting some heeled weightlifting shoes. Paying the right price for your budget has to be one of the top tips that we can give you. 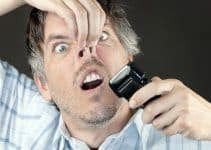 We would never want you to go out and spend more than you can afford, and, likewise, we wouldn’t want you to spend less than you can afford if there’s something considerably better within your budget. It is simply important to keep your budget in mind whilst shopping for workout shoes. You may feel like you are slightly restricted, and that’s perfectly okay. There are workout shoes at all price points, and you will be able to find something in your style, with your purpose, and within your price budget. Fact. Another key tip is bearing your typical sizing in mind. A weightlifting shoe is generally narrower and slightly tighter in fit. With that knowledge, we recommend that you go up half a size if you have wide feet. Also, with powerlifting shoes, there is no doubt that you get a wide range of flexibility with your sizing. They usually have laces and a hook-and-loop Velcro strap, so you’re getting the benefit of two forms of tightening. This means that, if you’re in doubt, you can almost certainly size up, because you can make up for that by making things tighter if need be. If you are looking at workout shoes, then you probably already have a clue about what they do. For most people, wearing classic trainers or sneakers will suffice, but for those of us a bit more dedicated and serious about the gym, shoes should be the first thing that are upgraded. Knowing your brands can be an invaluable piece of advice, as it’ll really help you to understand whether or not you are investing in a pair of workout shoes that are going to be worth it in the long run. Sticking to the classic brands like Nike, Adidas, Reebok, and New Balance is going to be your best bet. They have huge reputations with too much at stake to mess around. You will be getting a consistently good product, and that is all you can ask for. However, if you are feeling up for it, workout shoes are also a great time to experiment. Brands like Inov-8 are relatively unknown in the weightlifting world, but they still design shoes that are highly rated and very well produced. Coming into this article, you may be thinking, ‘What is the difference between a basic pair of cross-training shoes and a pair of workout shoes?’ and it’s a valid concern. They often seem so similar they are hard to tell apart, and, even more frustratingly, they often overlap completely. 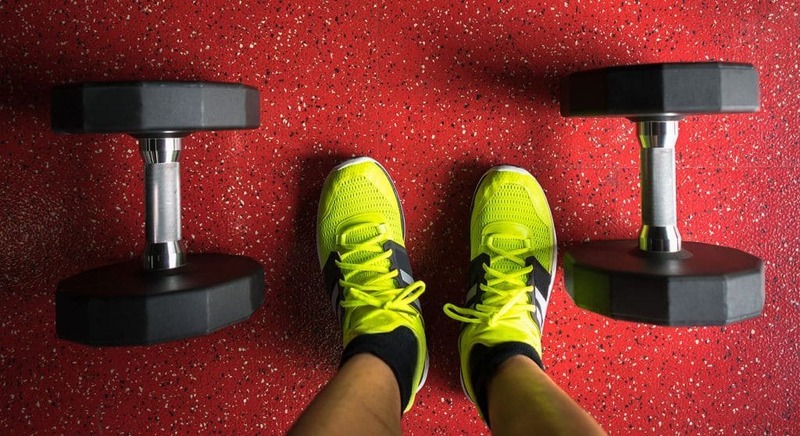 In general, cross training shoes and workout shoes are pretty much identical. They have the same purpose, they look the same, and, well, they pretty much are the same. For exercises like circuit training and high-intensity interval training, the best shoes to workout in will be the ones that are also cross-training shoes. They are comfortable, multi-purpose, and effective. The difference exists in shoes that are more specifically designed for weightlifting, as these are more specialist workout shoes. They are aimed at improving performance, minimizing injury, and generally making your lifting experience better. 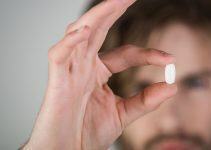 They are criminally underrated, and many believe that they should be an absolute necessity if you lift heavy weights. Weightlifting shoes often have an elevated heel and a Velcro strap for tightening. This style of shoe allows for you to be ‘tight’ and ‘locked in’ during the key, compound movements, making your workouts that much better. If you are not a weightlifter, then it could be hard to understand. For those who are, you know exactly what we are talking about. Given that there are thousands of options out there, narrowing down a wide range of workout shoes to a finalized 6 may have some of you wondering how we did it. Fortunately, we are prepared to reveal exactly what we had in mind whilst making our decisions. Primarily, we wanted to make sure that we were matching the criteria that we set earlier, stride for stride. The 6 factors that we flagged for consideration were also the ones that we had to consider the most. We wanted to make sure that we were only suggesting and listing the shoes with the greatest quality and durability. Not only that, but we had to cover a wide range of styles, purposes, and brands to cater for a wider audience. Further, we couldn’t ignore customer reviews. We did mention this briefly in a couple of the product reviews, but it is something that tells us so much about particular products. At the end of the day, and as much as we’d love to, there was no way that we could try on every single pair of workout shoes on the market before coming to a final decision. Instead, it makes all of the sense in the world to trust what thousands of others have found and enjoy. Every individual is different, but if thousands of them are loving a particular pair of workout shoes, then it probably illustrates how good they actually are. So, whilst we weighted the physical qualities greater than the reviews, we still placed some importance on them, because it tells us a lot about what the general population thinks about them. Finally, whilst we’d love for it to not be a consideration at all, price was something that we kept in mind. Whilst workout shoes are innately more expensive, due to the build quality and materials, we wanted to cover at least a few price ranges to show what is available for purchase. Within those price ranges, however, we only listed the best quality workout shoes, and we feel confident that you will be happy with the ones we listed. Regardless of whether you’re a beginner to lifting weights or you’ve been doing it for a few years, upgrading to a pair of workout-specific shoes can be daunting. It is not unusual to suddenly feel like you know absolutely nothing about footwear, as you’re staring at shoes with heels and Velcro straps as if you are living the 80s once again. That’s where we have tried to help. Not only have we given you a list of our favorite workout shoes for 2019, but we have explained what makes them so special, what to look out for when buying them, and how to differentiate them from other trainers. As 6 is quite a small list, we have no doubts that you will have a favorite workout shoe that didn’t make the cut, and if that’s the case, then we’d love to hear from you. Let us know what your favorite is in the comments below, and we’ll get back to you as soon as we can.